but you may help ensure its continuity by becoming a Sponsor. Pianist Jörg Demus, in Mürzzuschlag for the opening of the newly refurbished Brahms Museum on 11th June, agreed at short notice to perform the programme scheduled by Maestro Claudio Arrau for the opening gala recital, and later make a recording in honour of his late colleague. Memorial services held in Santiago on 14th and 15th June, where Arrau's body laid in state. Burial in Chillán, his birthplace, on 16 June. Three days of national mourning decreed by the Chilean Government. Pianist Jörg Demus's made digital recordings of a selection of piano works by Brahms's for a 2-CD issue named In Memoriam Claudio Arrau. One CD contains peformances on the 1850's concert grand piano, made in Vienna by Wilhelm Bachman, often played by Brahms when in Mürzzuschlag during the summers of 1884 and 1885; and the other CD contains recordings made on a modern Steinway grand. The last recording on this second CD is Liszt's Sonetto del Petrarca No.123 in memoriam Claudio Arrau. Special Edition released by the Mürzzuschlag Brahms Museum in 1991, catalogue No. 71672. Informative, 126-page book, entitled Claudio Arrau: El Maestro, published in Spanish in June by the Sociedad Editora Revista Ercilla Ltda, Santiago, with the sponsorship of SONY, containing valuable information and photographs from the Ercilla magazine and the Arrau Corporation. 1991 France Télérama weekly magazine of 22-28 June (issued on 19th June) acknowledges the death of Maestro Claudio Arrau with a half-page editorial by Xavier Lacavalerie, entitled 'Claudio Arrau, le dernier heritier'. [Arrau's photograph. Page 52]. 1991 France Le Monde de la Musique (Télérama magazine) issue of July-August (No.146) shows a cover page photograph of Maestro Claudio Arrau and includes an article entitled 'Le crépuscule des dieux', by Alain Lompech (referring to the demise of Wilhelm Kempff and Claudio Arrau, after Rudolf Serkin), with contributions from Dean Elder (Claudio Arrau, le sphinx and Une inimitable majesté stylistique), Piero Rattalino (remembering Claudio Arrau's impact), and Gérard Belvire (Arrau's recording outline and selected discography). The DIAPASON Harmonie issue of July-August shows cover page photographs of Kempff, Serkin and Arrau with the title 'Adieux aux poètes'. On Page 47, André Tubeuf writes a heartfelt farewell under the title 'Claudio Arrau: Adieu à l´éternel moderne'. 1991 U.S.A. Clavier magazine issue of September (Vol.30 No.7) includes an article entitled 'Remembering Claudio Arrau', which is a reprint of an article first published in Clavier magazine of March 1983 [see], by Carol Montparker, senior editor of Clavier, entitled 'Portrait of an artist at eighty', which combines interview material with informative commentaries. 1991 Italy Alta Fedeltá magazine of October (Year 34), issued in Milan, contains an article entitled 'Claudio Arrau: ... ma il suo pianoforte risuona ancora' [Claudio Arrau... but his piano still resonates], by Graziella Casarin, which surveys the vast repertory and hectic concert life of Maestro Arrau, and acknowledges his musical heritage preserved through his many recordings. To memorialize The First Honorary Member, the Düsseldorf's Robert Schumann-Gesellschaft instituted the Arrau-Medaille, a decoration intended to be awarded periodically to a pianist especially committed to the spirit and tradition of Maestro Claudio Arrau's keyboard artistry. Carved by Pedro Urzúa Lizana. The London Symphony Orchestra, in association with The Royal Philharmonic Society, performed a 'Claudio Arrau Memorial Concert' in the presence of H.E. the Ambassador of Chile at the London Festival Hall on Saturday 7th March. The work performed in honour of Maestro Arrau was Verdi's Requiem, with Sir Colin Davis conducting the Orchestra, vocalists Sharon Weet (soprano), Katherine Ciesinski (mezzo-soprano), Vicente Ombuena (tenor), Robert Lloyd (bass), and the London Symphony Chorus. Mrs. Carmen Arrau, daughter of Maestro Arrau, received posthumously, on her father's behalf, the Gold Medal of the Royal Philharmonic Society awarded to him in 1990. Article titled 'Arrau's integrity shines brilliantly through the decades', by Classical critic William Littler in the Toronto Star of 28th March. An analysis of Maestro Claudio Arrau's musicianship, particularly his consistency, as evidenced from recording editions being released by EMI and Philips. Memorial concert and seminar presentation held by the Düsseldorf's Robert Schumann-Gesellschaft on 3rd May to honour the late First Honorary Member of the Society, Claudio Arrau, and celebrate the insitution of its 'Arrau Medal'. An exhibition entitled 'Claudio Arrau' was also open on this day at the Düsseldorf Opera House. On the 'Festival' programme of Sunday 4th October at 2:00 pm, TV Network 2 broadcasts video recordings of Claudio Arrau joining Riccardo Muti and the Philadelphia Orchestra in a celebrated 1983 performance of Beethoven's Piano Concerto No.4 at the Philadelphia Academy of Music, with film clips of rehearsal segments. The Spanish edition of Amadeus magazine, No.7 of April 1993, publishes an article by Mario Pasi entitled Claudio Arrau, elogio de la pureza [Claudio Arrau, appraising purity], being a précis from one of Arrau's last interviews. It contains the writer's appreciation of Arrau's musical talents, along with Arrau's own thoughts on his early childhood, subsequent education, musical career, current expectations from young musicians, modern music, and other relevant topics. Pages from 28 to 31. Cover photograph. Three internal photographs. The Spanish magazine 'CD Compact' [sic] 0f May 1993, publishes a penetrating article in Spanish by Jürgen Kestin, entitled 'Claudio Arrau, la última entrevista' [the last interview], written from the contents of an interview conducted on 11th and 16th April 1991 with 88-year-old Maestro Claudio Arrau, where very personal ideas and feelings from his long life are examined, including 'the purgatory of desappearing' and the oneness of music and morality. [Pages 22 and 23]. 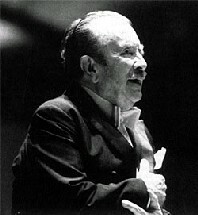 A 100-page book by Sonia Quintana Rojas, entitled Claudio Arrau: Un prodigio apacible, published in Spanish in November by the Empresa Editora Zig-Zag S.A., Santiago, ISBN 956-12-0815-6, containing mostly previously published information about the Maestro. Composer Daniel Stéfani (Montevideo, 1949) conceived this year a solo piano work to honour the memory of the Maestro, entitled Pour le tombeau de Claudio Arrau (comme une cathédrale engloutie). In November, publication of issue No.44 of the magazine 'Symphonia, Tesori Musicali', a series from Ermitage directed by Piero Rattalino. The article by Rattalino analyses Arrau's performance at his Ascona recital on 9th September 1959, released on CD by Ermitage as ERM 149 to coincide with issue No.44 of 'Symphonia'. Philips releases posthumously a limited edition, 7-CD box set collection [446 859-2] entitled The Final Sessions, containing Arrau's last recordings of 1988, 1990 and 1991, consisting of previously unreleased items by Schubert [432 987-2 and 434 101-2], Debussy [432 626-2], Bach [434 904-2] and Beethoven [432 173-2]. Also released separately. 1995 U.S.A. Keys Piano Music Magazine issue of May/June shows Maestro Claudio Arrau on the cover page and includes an article entitled Remembering Claudio Arrau 1903-1991, which is a reprint of an article first published in Clavier magazine of March 1983 [see], by Carol Montparker, senior editor of Clavier, entitled 'Portrait of an artist at eighty', which combines interview material with informative commentaries. A Bohemia Art Video Production entilted '50 Years of the Spring Festival in Prague' was broadcast on 1st July by Channel 11 of the NHK BSTV (Nippon Hõsõ Kyõkai 's / Japan Broadcasting Corporation's Satelite Broadcast Television) from 01:30 pm to 02:30 pm. This private video recording, of 60-minute duration, mostly in colour, shows segments from the First Sping Festival in Prague of 1946, as well as of musicians who participated in the Festival over the past 50 years. Conductors shown with the Czech Philharmonic Orchestra include Vaclav Talich, Rafael Kubelik, Karel Ancerl, Ernest Ansermet, Leonard Bernstein, Adrian Boult, Herbert von Karajan, Yevgeni Mravinsky, Charles Munch, Hermann Scherchen, and Leopold Stokowski. Soloists include Claudio Arrau, Pierre Fournier, Lev Oborin, David Oistrakh, Svyatoslav Richter, Artur Rubinstein, and Daniil Shafran. 1996 France Excerpts from Chopin's Nocturne No. 1 (Op 9 No. 1), recorded by Maestro Arrau for Philips, used in the film Chacun cherche son chat [aka When the cat's away] directed by Cédric Klapisch. A four-page section (pp. 216-219) displaying four photographs of Claudio Arrau by Erich Auerbach, along with brief biographical notes, as part of a compilation of photographs and biographical notes in English, German and French, covering 24 composers, 28 conductors, 21 instrumentalists, and other musicians, contained in a book published this year, entitled Images of Music. The 28.0 cm x 32.6 cm, hard-cover volume has 319 pages and was published by Könemann Verlagsgesellschaft, Cologne. A film about Claudio Arrau to be projected at the Auditorium de Musée du Louvre of Paris on 21st February. Source: Le Monde, Paris, 17 February 1998. Editor Wanda Wilk, from the University of Southern California’s Polish Music Reference Centre, commented on its October Newsletter edition (Vol 4, No.10), under Discography: From Philips, the 'Great Pianists of the 20th Century' series, that Arrau’s Chopin style was so highly respected by the late Polish composer Witold Lutoslawski, that he disagreed with the suggestion of one needing to be Polish to play Chopin with real feeling. Asked about the issue, Lutoslawski pointed to “Claudio Arrau as the best example of a non-Pole playing Chopin's music with a truly 'Polish' soul". Under the title "Reputations - Claudio Arrau", the October issue of Gramophone magazine contains, on pages 30 and 31, an article by music critic G., being a very tight compendium of essential features in Maestro Claudio Arrau's artistry, including brief biographical details, an appreciation of Arrau's rich sound as projected from stage, and an overall assessment of his recordings for various labels over the decades. Publication of "Pianisten in Berlin", a book on piano music making and studying since the 19th century, sponsored by the European Piano Forum ’99, edited by Wolfgang Rathert and Dietmar Schenk, with contributions by Linde Grossmann and Heidrun Rodewald. 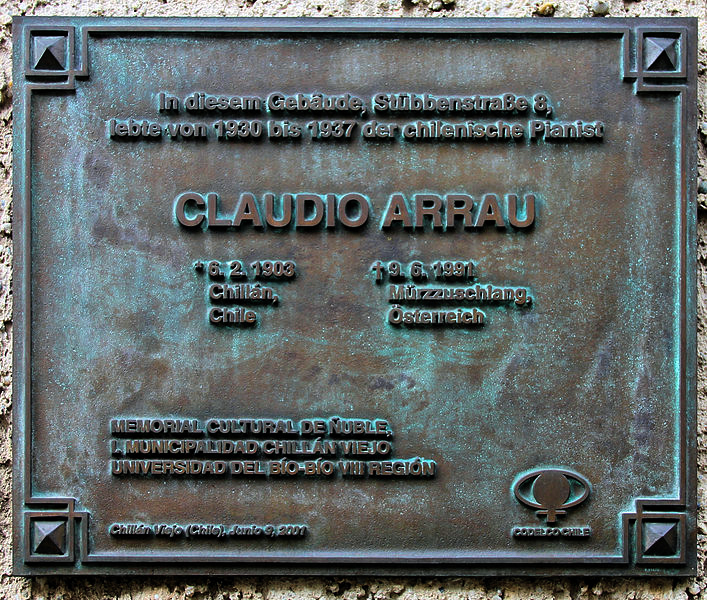 An 8-page essay [pages 23-30] by Arrau’s student Heidrun Rodewald is entitled "Claudio Arrau und Seine Berliner Jahre" [‘Claudio Arrau and his years in Berlin’], which describes Claudio’s education and life in Berlin from 1911 to 1940 against the backdrop of Berlin’s rich cultural environment. Emphasis is given to young Claudio’s life as a student of adored teacher Martin Krause, who imposed a tight and demanding musical regimen on Claudio and supervised his care in most other aspects of education and personal development. A short biography of Claudio Arrau is contained on pages 48-49. Published by Hochschule der Künste – Archiv, Berlin, 1999. Paperback, 110 pages. PIANO, The magazine for the piano world of May/June (Volume 8 No.3), includes a 'symposium' on Brahms, entitled With Brahms at the Piano, where a number of leading performers, past and present, contribute there opinions about issues raised by Editor Jeremy Siepmann. A brief excerpt on 'passion and speed', taken from an interview of Claudio Arrau, and his photograph, appear on page 29. The French 'Le Monde de la Musique' magazine of May publishes an article by Patrick Szersnovicz, entitled Claudio Arrau, Wilhelm Kempff, Rudolf Serkin - des légendes immortelles, in remembrance of their death 10 years earlier. They are appraised as three of the greatest pianists and musicians of all times and the last representatives of an old culture, humanist and universal. Their photographs and selected discographies. Pages from 46 through to 50. Philips Japan issues a 30-CD Arrau Collection, catalogue numbers from UCCP-9328 through to UCCP-9357. Philips issues a 7-CD set [468 391-2] containing a comprehensive selection of Chopin's works, entitled Chopin - Claudio Arrau, and including complete Préludes, Waltzes, Ballades, Scherzos, and Nocturnes, as well as Barcarolle, Fantasia in F minor, Poloniase-Fantaisie, and the two Piano Concertos, from its celebrated 1970-to-1984 recording stock. 6.2.1903, Chillán, Chile - 9.6.1991 Mürzzuschlang, Österreich. Chilean pianist Claudio Arrau lived in this building, of 8 Stubben Street, fom 1930 to 1937. First ever publication of Part 1 of a 1976 conversation held with Maestro Claudio Arrau by piano writer Peter Warwick, appearing in the September/October 2001 issue of PIANO International magazine (London, New Jersey) under the title A master's perspective. The interview took place in Arrau's home in Chester, Vermont, on 31 July 1976. Present also were Mr.s Arrau, Professor Philip Lorenz (assistant to Arrau on his Edition of the Beethoven piano sonatas for Peters) and Leslie Warwick. Arrau converses about his personal recollections of, inter alia, Ferruccio Busoni (1866-1924) and Eugen d'Albert (1864-1932), with some references to Pembauer, Schnabel, and Fischer. Cover page photograph. Pages 34 to 37 and 39 to 41. Four inside photographs. Part 2 of the above interview, appearing in the November/December 2001 issue of PIANO International magazine, where Maestro Claudio Arrau reminisces about some of the most revered pianists of his youth, including Schnabel, Casadesus, Fischer, Carreño and Cortot, as well as some less known players (Riccardo Viñes, Elly Ney, Arthur Friedheim, Sophie Menter, Moriz Rosenthal, Arthur de Greef, Emil von Sauer, Leopold Godowsky). Arrau states that he premiered several of Jean Françaix's pieces for piano in France. Pages 26, 27, and 29 to 33. One inside photograph. [DVD: Martha Argerich Evening Talks, by Georges Gachot, Medici Arts, Ideale Audience International, Germany, 2008. It inserts a segment of of the slow movement of Beethoven's Piano Concerto No.4 played by Arrau]. Publication in Spanish of the book Cuatro aproximaciones al arte de Arrau, a compilation of four essays by Héctor Vasconcelos ["Primus inter pares"?, The interpreter, The maestro, The recordings], with a foreword by Mario Lavista. DGE ediciones, México. ISBN 968-5011-23-0. Publication in Spanish of the book Arrau: el Hombre y el Artista, by Antonio Landauro. This book is a compilation, not always well integrated, of valuable informative narration, personal letters, and translated press articles, along with a dose of platitudinous rhetoric. It provides a largely chronological account of Claudio Arrau's personal and artistic life, as well as some of his own writings. It is noted that it contains important gaps and a few mix-ups. A ten-page long section on the Arrau's family genealogy seems out of place and an exaggeration. The nobility language used in this particular section impresses as out of character and in contrast with the Maestro's well-known modesty, opposition to vanity, and humble personality. The book would have benefitted from deeper research, better organization and sharper editing of the material. Impresores Santa Cecilia, Chillán. NRPI 125.759. Paperback, 293 pages. Limited Edition. Report filed by journalist Inés María Cardone, entitled "Los tesoros de Arrau ", published (in Santiago) by 'La Tercera' in 'Mujer a Mujer' magazine No. 1045 of 19th October. Part of Maestro Claudio Arrau's cherished belongings is being donated by daughter Carmen Arrau to the Chillán Municipal Council for an Interactive Arrau Museum said to be launched in 2003. However, Chillán's City Mayor, Mr. Aldo Bermucci, is quoted as saying that the Maestro's most valuable assets are being administered in the U.S. by his nephew* and testamentary executor, Mr. Agustín Arrau, who has not fully responded to requests for such assets to be made available for the Museum. Pages 7 to 9, with photographs. *[N.B. : Mr. Agustín Arrau was in fact a cousin-once-removed (son of a cousin) of Maestro Arrau]. Launching on 13th January of 'arrausite ' - an inspiring, reliable, comprehensive, multi-part website on things Claudio Arrau, developed in French by Monsieur Claude Aubrun in time to mark the Maestro's centenary celebrations. Feature article by Marcelo Simonetti in El Sábado magazine, inserted in El Mercurio newspaper of Saturday 31st January. The article, entitled Arrau Eterno, with a cover page photograph stating Retrato de un gigante, is a quick journalistic compilation of various aspects of Arrau's life, on the occasion of his 100th birth anniversary. The writer covers from childhood to Germany to fame, from family to music, from technique to interpretation, from non-political stands though to political controversy and to support for humanitarian causes, from his numerous recordings to his most outstanding concerts and recitals, with an account of admiring pianist Emil Gilels' emotional reaction to Arrau's 1968 Moscow performances. Article by Patrick Szersnovicz in the French Le Monde de la Musique magazine No.273, of February, entitled Claudio Arrau, la noblesse du piano, including biographical notes and an assessment of the Maestro's technique and rigour, fidelity to the composer, universal repertoire, profound insight, majestic and engaging style (pages 26 to 32). A close to complete discography is presented by F.L and P.S. (pages 33 to 35). Cover page photo. Ten internal photographs. A 10-CD selection of Philips recordings including music by Bach, Mozart, Beethoven, Schubert, Chopin, Schumann, Liszt, and Debussy, issued in Germany as Claudio Arrau - An Anniversary Tribute (with the inclusion of Chopin's Scherzos from Arrau's 1953 recordings for American Decca). Publication in French of the book Appassionata: Claudio Arrau, prodige, dandy, visionnaire, by André Tubeuf, music critic, author, and friend of the Maestro in later years. An intimate and respectful portrait of the Maestro Claudio Arrau. The writer’s personal memories, anecdotes and meditations on art intermingle throughout the book, in an informed overview of the 20th century musical world. Arrau the person is described as attaching importance to dress, being fond of social dancing, loving song and great singers of whom he kept records, being passionate about nature and trees in particular, and being a musical visionary. The essence of the book lies in elucidating the battles waged by Arrau to overcome the child prodigy he once was and become the ideal interpreter his Teacher Martin Krause saw in him. Pages are devoted to describe the close bond developed between the young Claudio and his exceptional Teacher who was intent in instilling the traditions of the romantic century in the child. Nil edition, Paris, 2003. ISBN 2-84111-282-9. A 55-CD, comprehensive Universal Arrau Heritage edition, covering Bach [3-CD, 476 1156-2], Beethoven [11-CD, 473 782-2], Brahms [4-CD, 475 024-2], Chopin [8-CD, 475 029-2], Debussy [3-CD, 473 915-2], Liszt [6-CD, 473 775-2], Mozart [7-CD, 475 294-2], Schubert [6-CD, 473 926-2], and Schumann [7-CD, 475 286-2], largely from Philips recordings, plus some items from British Columbia (EMI, Schubert), RCA Victor (Bach, 1942), and rare American Decca (Beethoven 1952, Chopin 1953). Article by Franck Mallet in the French Les Inrockuptibles magazine No.383, of Wednesday 2nd April, entitled Le feu invisible [The invisible fire], a brief centenary tribute including biographical notes and an assessment of Maestro Claudio Arrau technique and rigour, fidelity to the composer, and profound musical insight. One photograph. Pages 60 to 61. Brief personal appreciations given by Chilean art personalities, published on 5th May by "Revista Verónica", in Saturday insert No. 42 of "La Nación" newspaper, Santiago, under the title "Claudio Arrau, el Maestro". Opinions collected were given by: sculptor Marta Colvin (1970 National Arts Award - NAA), composer Alfonso Letelier (1968 NAA), composer Juan Amenabar (Deputy Dean, Faculty of Arts), journalist Luis Sánchez Latorre (1983 NAA), theatre director Pedro Mortheiru (NAA), Fernando Cuadra (Dean of Arts, Chilean National University), musicologist Gastón Soublette (Professor with the Aesthetics Institute, Catholic University), pianist María Iris Radrigán (member of "Trío Arte" and lecturer with the Catholic University), journalist Lucía Gevert Parada (former Ambassador in Germany), and writer Roque Esteban Scarpa. Publication in German of Die Klaviertechnik in der Tradition von Claudio Arrau [Piano Technique in the Tradition of Claudio Arrau], by Christoph Öhm-Kühnle, with the assistance of Daniela Ballek. Verlag Dohr, Köln. 42 pages, illustrations, photographs. ISBN 3-936655-22-7. Publication in Spanish of 'Claudio Arrau, 100 Años', by Luis Merino Montero, issued with the sponsorship of the 'Memorial Cultural de Ñuble'. A Chilean perspective on Claudio Arrau, from his early years in Chillán. Part One, written by musicologist and professor Merino, has the value of reliable academic research. Other parts of interest include printed media articles and commentaries, correspondence, and a bibliography. Less valuable sections include an incomplete chronology by a contributing writer, and journalistic accounts of an itinerant Arrau Expo in celebration of the Maestro's centenary. A 181-page, 27.8 x 21.2 cm publication containing essays, photographs, illustrations, press articles, and speeches. ISBN 956 7813 33 7. The "Museo Interactivo Claudio Arrau León" [MICA] was inaugurated in Chillán on 5th December, thanks to the sponsorship of various public figures and organisations, most substantially the Banco de Crédito e Inversiones, as well as the personal dedication of Chillán's Lord Mayor at the time, Councillor Aldo Bernucci Díaz. The Museum was built at the exact place where the Arrau's family home and birthplace of Claudio Arrau once stood, later destroyed by the 1907 and 1939 major earthquakes. The Museum's objectives include researching, collecting, exhibiting, disseminating information, and promoting education about the Maestro, as well as encouraging piano music and young piano talents. Local cultural development is also supported and promoted through related activities such as competitions, exhibitions, festivals, recitals, concerts, publications, et al. Definitive launch on 3rd February of 'ArrauHouse ', a reliable, comprehensive, multi-part, resource, reference, and educational website on Claudio Arrau's facts and music making, conceived and developed in English by Mr J.M. López-Araneda to honour the Maestro on his 103rd birth anniversary and beyond. The 'United Archives' label released a set of 4 CDs with a comprehensive collection of most recordings by Arrau for US Columbia, covering the period 1946-1950, remastered in very good sound, entitled Birth of a Legend. The set includes works by Beethoven, Schubert, Chopin, Schumann, Debussy, Ravel and Albéniz. Notes included are by André Tubeuf. The Beethoven is Sonata No.26 and the Schubert is an abridged version of Allegretto D.915, of whose existence there was no previous public knowledge and they are published here for the first time. Conversely, Chopin Waltz Op.18 No.1 (Columbia 78rpm MX307) and Beethoven Bagatelle G.173 (Columbia 78rpm 1309OD) are exluded from this compilation. Claudio Arrau's daughter Carmen passess away. Author Piero Rattalino published in October Claudio Arrau, Il filosofo as No.9 of his collections entitled Grandi Pianisti. Zecchini Editori, Varese. ISBN 88-87203-49-0. 168 pages. Publication of a PhD dissertation by Victoria von Arx, entitled The Teaching of Claudio Arrau and his Pupils: Piano Pedagogy as Cultural Work, submitted to the Graduate Faculty in Music of the City University of New York. The study surveys the sources of Arrau’s principles in nineteenth century piano pedagogy. It subsequently narrows its focus to Arrau’s own principles and their transmission to Arrau’s pupils and their pupils. The 'SWR Music' label from the Southwest German Broadcasting Company released a 'Hänssler Classic' double CD, as part of its 'Edition Schwetzinger Festspiele', with digitally remastered public recordings from the 1963 and 1973 live performances by Maestro Claudio Arrau at the Schwetzinger Festival, including Beethoven's Rondo Op.52 No.2, Sonata No.28 Op.101, Sonata No.7 Op.10 No.3 & Sonata No.23 Op.57, as well as Brahms's Variations on a Theme by Händel Op.24. Launch on Friday 6th March of a limited edition, 82-page book-kit, including a sample CD from Philips, entitled 'Claudio Arrau León y el Congreso Nacional de Chile, 1908-1921', written in Spanish by Fernando Arrau Corominas for Chile's National Parliamentary Library. It contains factual information, including debates, correspondence and media sources, on the Chilean Parliament involvement in ensuring Claudio Arrau's continued scholarship to study in Germany for ten years until 1921. Publication of 'Cinq pianistes interprètent Beethoven', by Nicolas Lagoumitzis, with preface by Olivier Revault d'Allonnes: an authoritative, comprehensive assessment of musical interpretation (history, aesthetics, piano schools, 20th century praxis) and a comparative analysis of Beethoven's piano sonatas Nos.1, 21 and 32, as rendered by Claudio Arrau, Friedrich Gulda, Michaël Levinas, Tatiana Nikolayeva, and Arthur Schnabel. Extensive bibliography. Collection Arts & Sciences del' art, published by L'Harmattan, Paris, in 2010. Paperback, 353 plus 10 pages. ISBN 978-2-296-10327-6. EAN 9682296103276. Canadian label 'DOREMI' published in November a CD restoration in good stereo sound from Melodiya LPs of live performances of Brahms's two Piano Concertos and Beethoven's Piano Sonatas Nos.13 and 26, recorded in May 1968 at the Moscow Grand Hall. The concertos were conducted by Gennady Rozhdestvensky leading the USSR Television and Radio Grand Symphony Orchestra. 'Claudio Arrau, tradición y modernidad', a conference given by Professor Antonio Cantero at the Rafaél Orozco High Conservatory of Music in Córdoba, on Monday 15th November at 8:00 pm, as part of the activities of the IX Rafaél Orozco Piano Festival - Great Pianists of the 20th Century. Publication in Spanish of 'Hijos del Bío Bío, Perfiles Humanos', by journalists and teachers Margarita Rodríguez and María Lavín, editors. This is a journalist style, biographical account of 16 outstanding Chileans. The Claudio Arrau section is written by Ricardo Cárcamo Ulloa and covers pages from 143 through to 164. It provides a semi-chronological description of selective events and circumstances in the life of the master pianist, from both the artistic and the personal/family perspectives, supported by information and opinions provided by a handful of people who acquainted Arrau in different capacities and on various occasions, particularly pianist Raúl de la Mora and journalist Sonia Quintana. Editorial Universidad Católica de Concepción, Chile. Quality binding. 318 pages. 25.0 cm x 22.5 cm. Canadian label 'West Hill Radio Archives - WHRA' published in January a double CD restoration in good mono sound from radio transcription discs of live broadcast performances by Claudio Arrau of Beethoven's Piano Concerto No.1 (11.11.1945), Chopin's Piano Concerto No.2 (09.01.1955), R.Strauss's Burleske in D minor (11.03.1945), Weber's Konzertstück (11.03.1945), and Liszt's Piano Concerto No.2 (15.12.1946), with the New York Philharmonic-Symphony Orchestra conducted by George Szell at New York's Carnegie Hall. EMI Classics released a comprehensive, 12-CD compilation of Claudio Arrau's recordings for the English Columbia and related labels, covering the periods 1938-39 and 1955-62, with some issued on CD for the first time and some regrettable exclusions. UK Columbia recordings excluded from this compilation are: Beethoven's sonata No.18 rec. in 1947 and Mendelssohn's Andante & rondo capriccioso Op.14 rec. in 1951, previously issued on CD, plus Mozart's sonata KV570 rec. in 1951, Chopin's Polish song No.5 & Scherzo No.4 rec. in 1950, and Beethoven's sonata No.7 rec. in 1951, hitherto not issued on CD. 'Arrau: Virtuoso philosopher of the piano'. EMI Classics ICON: 50999 9 184322 7. DECCA released a 6-CD full Jubiläums-Edition of Claudio Arrau's recordings of Franz Liszt for Philips, remastered in AMSI (AMbient Surround Imaging) sound, under the 'eloquence ' series. On the occasion of Franz Liszt's bicentenary, Deutsche Grammophon released in September a 10-CD compilation of American Decca and Westminster recordings by five pianists who have showcased the Liszt tradition, including Arrau, Larrocha, Lewenthal, Moiseiwitsch, and Petri. As for Claudio Arrau's renditions, they were recorded in 1954 for American Decca, complete CDs Nos. 1 and 2 of the compilation, and include Beethoven's Hammerklavier, Pathétique, Moonlight, Appassionata, and Les adieux sonatas, as well as Chopin's Fantaisie Op.49. All these recordings are released here for the very first time in any format. Deutsche Grammophon: 00289 477 9527. Membran Music from the E.U. released a 10-CD compilation of Arrau's solo and orchestral recordings for various labels, made from 1939 to 1958, all previously released on CD. Orchestral recordings include conductors such as Busch, Defauw, Galliera, Cantelli, Ormandy and Klemperer, and concerto works by Chopin, Beethoven, Grieg, Liszt, Schumann, Strauss and Weber. Solo recordings comprise compositions by Chopin, Beethoven, Liszt, Schumann and Weber. Seriöser Klangzauberer / Serious Wizard of Sound'. EuroArts issued a series of DVDs remastered from original video sources, an initiative amounting to a major project. 2058648: Claudio Arrau, The Emperor. 2058658: Arrau and Brahms, The Two Romantics. 2058668: Claudio Arrau, The Maestro and the Masters. 2058678: Claudio Arrau, The 80th Birthday Recital. St-Laurent Studio issued two audiophile CDs remastered from original 78rpm records with no filters, which showcase the sound quality achievable from 78rpm records by using the St-Laurent's transfer method. > Schumann: Carnaval Op.9 (1939). DECCA released in April a 12-CD Collectors' Edition box of Claudio Arrau's acclaimed recordings of Beethoven's complete piano sonatas and three sets of variations, a Philips project completed during the 1962-1968 period, plus the Diabelli Variations recorded for American Decca in 1952. 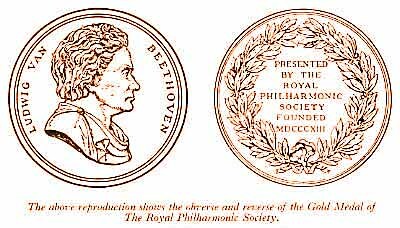 [This compilation excludes Beethoven's Rondo in G Op.51 No.2 recorded for Philips in 1963]. Grampphone magazine from London published in April the first ever listing of entrants in the recently instituted annual Gramophone Hall of Fame. Entrants are selected from outstanding contributors to the classical record industry. Maestro Arrau was included amongst the pianists in this very first listing of 50 individual musicians, ensambles, conductors, and music industry officials. DECCA eloquence released in May a 6-CD limited edition of Claudio Arrau's complete recordings of Mozart's piano sonatas (18), plus Rondo KV 485, Fantasie KV 397, and Rondo KV 511, recorded for Philips between 1973-1988, and remastered in AMSI (AMbient Surround Imaging) sound. (Fantasie KV 475 and Adagio KV 540, recorded for Philips in 1973, are not included in this collection). DECCA released a 7-CD comprehensive compilation of Claudio Arrau's recordings of Chopin's works for Philips, taken between 1970 and 1984, including Piano Concertos 1 & 2 (Inbal, LPO), complete Preludes, Impromptus, Waltzes, Ballades, Scherzos & Nocturnes, as well as Barcarolle Op.60, Fantasia Op.49 & Polonaise-Fantaisie Op.61. Includes notes in English by Max Harrison. Pianist Roma Randles, a student and friend of pianist and teacher Ruth Nye MBE, FRCM, is the author of ‘A Life in Music – Ruth Nye and the Arrau Heritage’. The book contains a kaleidoscope of opinions, descriptions, reminiscences, letters and other items related to Ruth Nye, her family, her home and friends, her acquaintance with the Arrau’s family, and her being a student of Arrau and at times his travelling companion. Two lectures of Ruth Nye are included, devoted to Maestro Arrau’s life, philosophy and techniques. The author believes that her subject matter is part of the long unbroken musical chain that goes from Haydn-Beethoven-Czerny-Liszt-Krause-Arrau to Nye. Published by GHP, Surrey, UK. Hardcover, 137 pages. EMI Classics-Toshiba re-releases in November two CDs containing the celebrated recordings of Brahms's piano concertos made by Claudio Arrau and C.M. Giulini with the Philharmonia Orchestra in 1960 and 1962. This reissue was remastered at EMI's Abbey Road Studios in Super Audio (SACD), Single Layer, Direct Stream Digital (DSD) mode, an audiophile format playable only on specialist audio equipment. EMI Classics TOGE-15038 & TOGE-15039. The recently incorporated ‘Warner Classics’ label released in November a 3-CD compilation, remastered in good sound, including some rarities. Amongst the items in this compilation are the following recordings for UK Columbia never previously reissued on any format: Mozart’s Piano Sonata No.17 K.570 (rec.1951), Beethoven’s Piano Sonata No.7 Op.10 No.3 (rec.1951), and Chopin’s Scherzo No.4 Op.54 (rec.1950), as well as Liszt’s My Joys (rec.1950) not previously released on CD. Hence, these four items become net additions to Maestro Arrau’s current digital catalogue. Warner Classics W 2564 63942-7. DECCA Japan reissues the 2001 30-CD Philips Japan Claudio Arrau Collection, this time named The Art of Claudio Arrau and pressed through the Rubidium Atomic Clock CD Cutting process [RB]. Decca CDs from UCCD-4847 through to UCCD-4876. Developed from her PhD dissertation entitled The Teaching of Claudio Arrau and his Pupils: Piano Pedagogy as Cultural Work, published in New York in 2012, author Victoria A. von Arx writes 'Piano Lessons with Claudio Arrau: A Guide to His Philosophy and Techniques'. This publication contains an in-depth, detailed and well researched survey of Claudio Arrau's musical antecedents, piano technique and music philosophy, and describes his teaching collaboration with Rafael de Silva. The book includes transcripts of recorded piano lessons on Chopin's Ballade No.2, Beethoven's Sonata Opus 110 & Eroica Variations Op.35, and Ravel's Gaspard de la nuit. Published by Oxford University Press, New York. Hardcover, 486 + xiii pages. Live recordings from 24.03.1959 & 14.05.1963, Paris. Release date and place: July 2015. Japan. *on its 25th anniversary at the Théâtre des Champs Elysées. Piano concerto (and symphony) previously released on CD. Vinyl Passion Classical VPC 85017. Release date and place: November 2015. Holland. Piano Concerto No.1 in D minor Op.15. Rec.1960. Carlo Maria Giulini conducting the Philharmonia Orchestra. Recording originally released on LP, and later on CD and SACD. Timings: 33' 19", 13' 11", 18" 10", 6' 50" = 71' 30"
Release date and place: August 2015, Japan. with Alceo Galliera conducting the Philharmonia Orchestra. Recordings remastered in SACD DSD for the first time. Recordings previously issued on vinyl and CD. Timings: 50' 17" & 28' 59" = 79' 27"
Release date and place: January 2016, ECC Austria. SACD mastered by Karel Soukeník, Domovina Studio, Prague. 2015 production by AMC Paris, distributed by Harmonia Mundi. broadcast by Bavarian Radio on 24 April 1964. Rafael Kubelík conducting the Symphonie-Orchester des Bayerischen Rundfunks. by Radio Svizzera italiana on 20 May 1963. Sony Classical: 88843071652 12 CDs. Recordings from 1941 to 1952. Total timing: 63'17"+ 57'46"+ 30'18"+ 34'37"+ 36'01"+ 54'51"+ 59'37"+ 39'19"+ 35'08"+ 37'09"+ 76'54"+ 78'50" =10 hrs 3 min. Release place & date: EU. August 2016. CD 1: Mozart & JS Bach. CD 2: Weber & Beethoven. CD 4: R.Strauss & Weber. This recording of Mozart's Fantasia K.475 was never previously released. This recording of Beethoven's Bagatelle Für Elise is issued on CD for the first time. *Note that Arrau's recordings for US Columbia of Mozart's Piano Sonata No.14 K457 and Beethoven's Piano Sonata No.26 are not included in this compilation. In October, the EU label ERMITAGE Symphonia released a vinyl LP transcript (ERM 5004, ADA) of works performed live by Arrau at Lugano (Switzerland) in 1963, both concurrently and previously released on CD. Works included are: Ravel's Gaspard de la nuit (Ondine. Le Gibet. Scarbo). Liszt's Gnomenreigen and Mephisto Waltz. Chopin/Liszt's My Joys (Polish son No.5). Arche Musik Verlag from Berlin publishes in July the Arche Musik Kalender 2018, showing a photogtaph of Claudio Arrau as a child prodigy on the page pertaining to the 5th-to-11th-February week of 2018. In September 2017, the National University of Chile's Cinematheque re-launched in Valdivia a restored version of the 1935 Mexican film 'Sueño de Amor' [Liebesträume], as part of the Valdivia's International Film Festival. The original film was directed and produced by José Bohr (also trading as 'Producciones Duquesa Olga'), shot in Mexico at the 'Mexico Films Studios' during March 1935, and premiered at the 'Cine Palacio' of Mexico City on 4th April that year. The film depicts aspects of composer Franz Liszt's life and milieu, and features a selection of his compositions, including solo piano works interpreted by a young Claudio Arrau in his protagonist role as the composer. The restoration of this historical, talking film, hitherto believed lost, was a joint effort by the Cinema Departments of the National Universities of Chile (UCH) and Mexico (UNAM). The project team, under the coordination of Professor Luis Horta, managed to find in Mexico what is believed to be the only surviving copy in existence. 'Sueño de Amor' forms part of pioneering sound film endeavours in Latin America and shows Arrau's earliest available motion images. Cast: Claudio Arrau, Manuel Buendía, Carmen Conde, Elena D'Orgaz, Josefina Escobedo, Consuelo Frank, Pilar Mata, Irene Obermayer, Julieta Palavicini, Godofredo de Velasco, and Carlos Villatoro. 'ArrauHouse' Chronology under 1st March 1935. German SWR Music label released in January a 5-CD issue of live historic performances by Claudio Arrau at Ludwigsburg (1954 & 1960) and Schwetzingen (1963), comprising works by Mozart, Beethoven, Schumann, Debussy, Chopin, Liszt/Chopin & Ravel. This release includes an all-Chopin recital as well as two works by Ravel that constitute net additions to Arrau's discography. In March the DECCA label released an 80-CD complete compilation of Maestro Arrau's Philips recordings (1962-1991), also including his complete American DECCA recordings (1952-1954), a 1976 Deutsche Grammophon recording, and a 1928 Polydor recording. The compilation further contains a live 1983 recital at Munich, as well as an interview and a dissertation in English by Maestro Arrau, recorded by Philips. DECCA 483 2984, Mono, Stereo, Digital. Rescued from oblivion 1935 film [please see '2017-Chile' above] is officially re-launched in Santiago on 10th December by the 'Instituto de la Comunicación e Imagen' of the Chilean National University, in the form of a DVD and a 67-page booklet entitled 'Sueño de Amor: historia de una película'.